but also for massive OPEX reduction and diesel generator replacement. 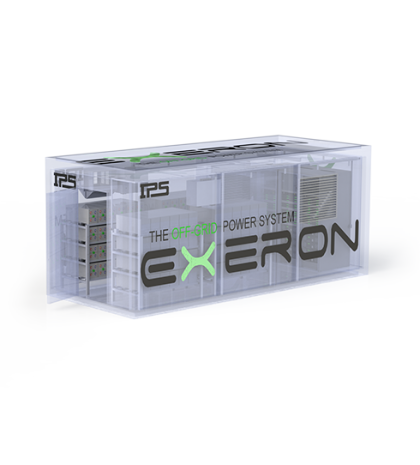 Due to the uniqe modular structure of all plug & play system components (PV chargers, rectifiers, inverter modules), the input/output power of the EXERON as well as the battery storage can be scaled easy and fast starting from 2 kVA up to 65 MVA. Battery back-up time is unlimited. EXERON has been deployed in 50+ coutries on 7 continents and powers a huge number of loads in the sectors of Oil & Gas, Defense, Telecommunications, Mini Grid and Residential and many others. Each EXERON system can be manufactured for indoor use as well as for outdoor applications in cabinets, shelters or standart 20" or 40"containers.